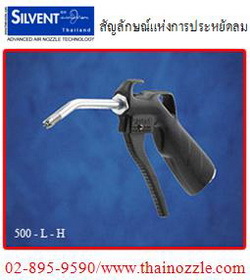 SILVENT 500-L-H is fitted with a stainless steel nozzle. Stainless steel nozzles are most suitable for really tough conditions. The nozzles solid stainless steel tip is built to withstand intensive mechanical wear.